By accuaire in cooling, heating, hvac blog on August 20, 2014 . Heat and humidity can make for some cranky customers. 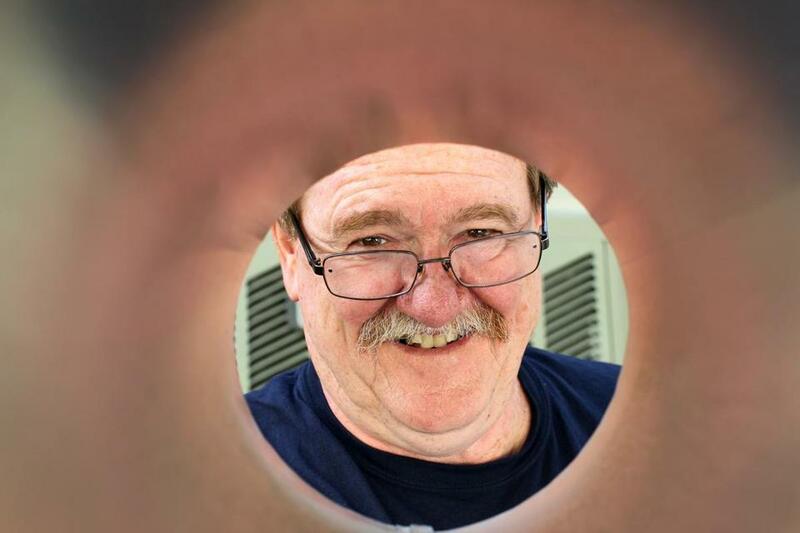 Take it from longtime air conditioning repairman Ken Nielsen, president of North Reading’s AccuAire. If [customers] call in the middle of winter, they ask you to come out and fix their heat, and they say thank you for coming out to fix their heat. In the summertime, they scream at you to come and fix the air conditioning and wonder why you can’t be there now. Air conditioning is probably 75 percent of the business. A lot of people are putting in new systems, but just as many people are repairing old ones. Most of the stuff we do is central air. We don’t do window units. I personally do a lot of chiller work; that’s all big commercial stuff. I go all over New England doing startups and service. We’re at one of the utilities right now, putting in air conditioning for their server room, in Somerville. Do the maintenance. Make sure everything is clear. I’ve walked up on a house and had bushes growing out of the unit, so I’ve had to do landscaping. But if it’s clean, it will run more efficiently, and it won’t cost you an arm and a leg to run. THICK OF THINGS The average high temperature for Boston in August is 80 degrees.